In token of there respect for his upright conduct as a man . And as a testimony of their gratitude for the fatherly regard he at all times eyinced for the lives and and interest of his servants in the corps, during a period of 13 years. 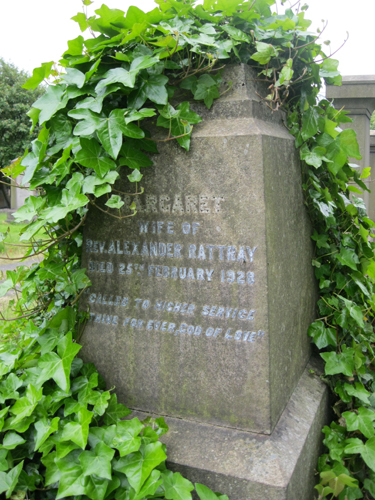 The headstone was sculpted by James Wood, whose cemetery monuments were often large-scale and elaborately carved. 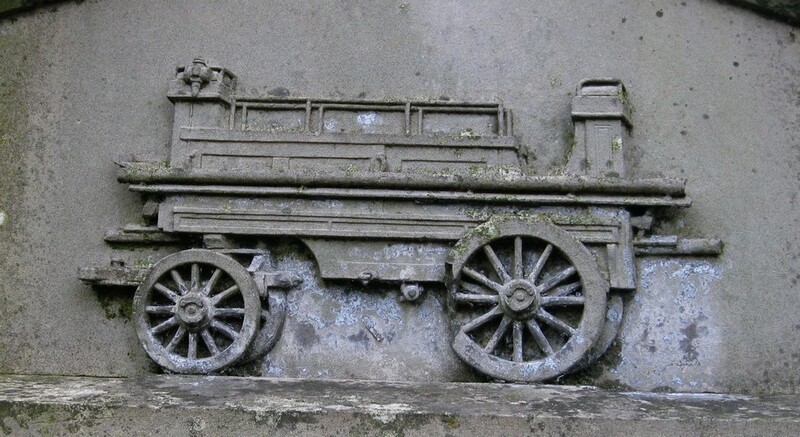 His finest work in Glasgow is the monument to the Glasgow Fire Master, William Robertson, in the Eastern Necropolis which features a carved relief of a contemporary fire engine 1845. 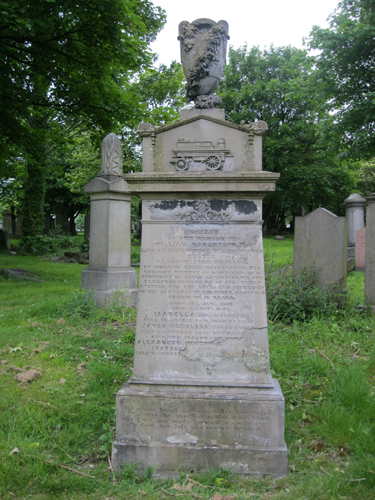 Andrew Fraser was born c1854 to David Fraser and Isabella Bennie. 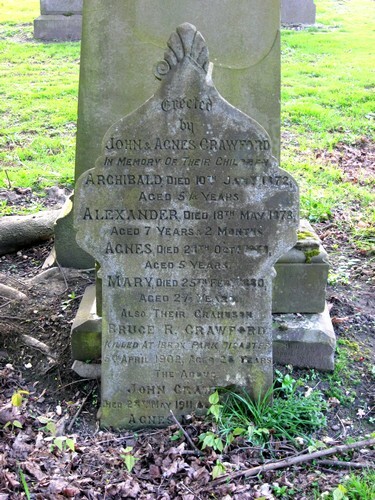 He died on 6th May 1916 at 133 Onslow Drive, Dennistoun from cerebral degeneration syncope aged 62 years. Andrew was married to Georgina Rintoul. The informant of his death was John Fraser, his son of 12 Greenlodge Terrace. 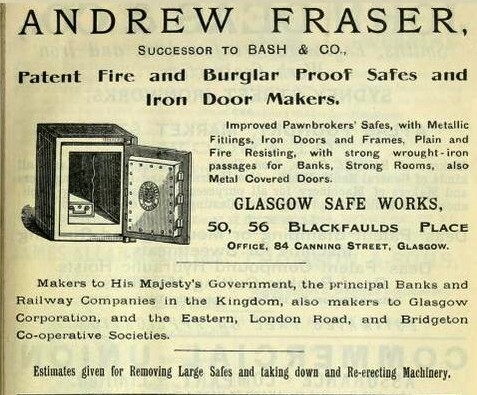 Andrew ran his own business of Safe and Iron Door Manufacturing. His advert stated he was the successor to Bash & Company. Bash & Company were formed around 1866-67 and had premises at 53 Cavendish Street and 28 Glassford Street. The company moved to various addresses throughout the years including 3 Canning Street, Calton (1880-81), 38 Oswald Street (1884-85). In 1885-86 Andrew Fraser was shown as Managing Partner of Bash & Company and his home address was given as 8 Silvergrove Street. 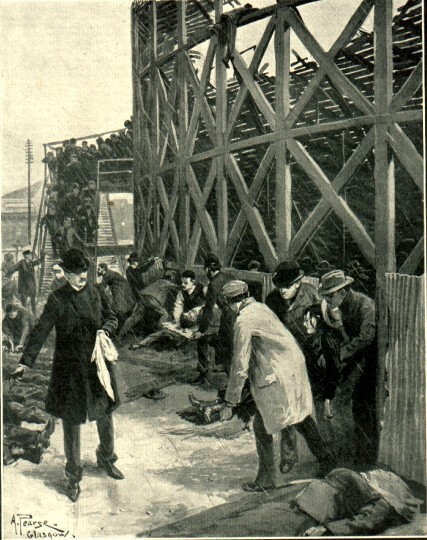 The company then moved to factory premises in Blackfaulds Place and had offices in Canning Street. Andrew Fraser was also shown to have lived at 48 Great Hamilton Street and 121 Findlay Drive. 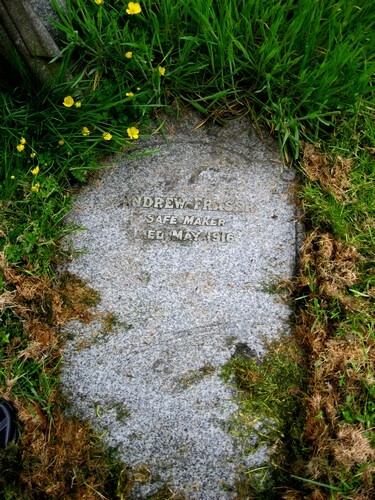 Although Andrew died in 1916 the Company was still listed in 1933-34 as having premises at 50 Blackfaulds Place and offices at 16 Kerr Street with the owner living at 22b Monteith Row. 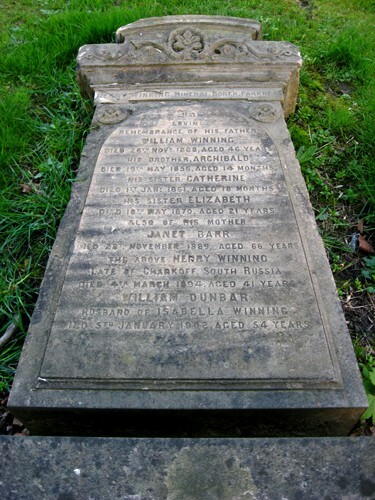 The business was probably carried on through this time by the surviving family members.